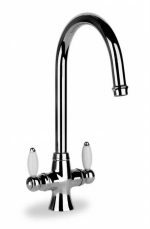 Kitchen mixer taps have been the standard choice in British homes for generations, and we have a great range at better prices than any other retailer operating in the UK. 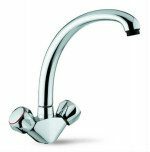 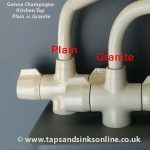 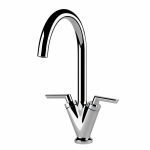 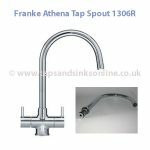 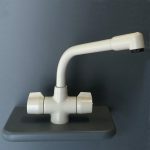 Kitchen mixer taps come in a range of styles to suit everything from traditional kitchen design to modern and contemporary styling, and all of our kitchen mixer taps provide maximum functionality as well as pleasing aesthetics. 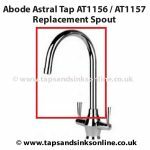 Our kitchen mixer taps also come with a full guarantee of up to five years. 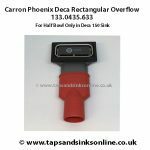 We have more than 50 kitchen mixer taps to choose from altogether, with prices ranging from the budget San Marco Milano model up to the Carron Phoenix Dante Tri-Pure kitchen filter tap, which comes complete with integrated system to strip your water supply of harmful bacteria and/or limescale. 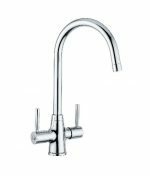 In between, there’s as broad a range of styles and finishes as you’d expect from the UK’s leading supplier of kitchen mixer taps. 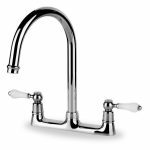 Finishes include chrome, brushed nickel, antique gold, antique bronze, and even blue granite. 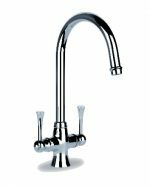 Styles of our kitchen mixer taps range from the traditional such as the San Marco Tuscany to the cutting-edge sleek modern engineering of the Carron Phoenix Desire Duo, so there are kitchen mixer taps to suit all tastes. 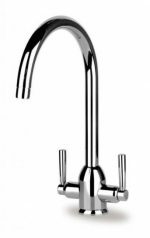 All of our kitchen mixer taps have been designed and manufactured specifically for the UK market, taking into account such factors as mains water pressure and plumbing standards and practices. 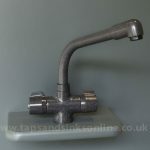 Browse our range of kitchen mixer taps today to make your choice and see how much you can save.